Conflict in the Intent Requirement of Section 727(a)(2) - Gensburg Calandriello & Kanter, P.C. The phrase “intent to hinder, delay, or defraud” in Section 727(a)(2)(A) is in the disjunctive, and as a result, most courts have ruled that “[a] party objecting to the debtor’s discharge under §727(a)(2)[ (A) ] need not prove that a debtor intended to hinder, delay, and defraud his creditors; proof of any one is sufficient. Thus, for example, if plaintiffs are able to establish a debtor’s intent to delay, it is not necessary to prove an intent to defraud.” In re Wise, 590 B.R. 401, 431 (Bankr. E.D.Mich. 2018) (quoting McDermott v. Kerr (In re Kerr), 2017 WL 3880875, at *14 (Bankr. N.D.Ohio August 30, 2017). 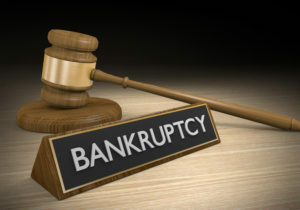 Wise followed this line of reasoning and stated that in interpreting Section 727(a)(2), the court must look to the plain meaning of words not defined by the Bankruptcy Code. The court further explained that the plain meaning of the word “or” and its purpose is “used as a function word to indicate . . . an alternative between different or unlike things, states, or actions.” Wise, 590 B.R. at 434 (quoting Webster’s Third New International Dictionary 1585 (2002). The disjunctive ‘or’ clearly imply that in the §727(a)(2) phrase “with intent to hinder, delay or defraud,” the words “hinder” and “delay” mean something different from the word “defraud.” And this implied that the statutory phrase listed three different types of intent – i.e., intent to hinder; intent to delay; and intent to defraud. Wise, 590 B.R. at 434. This Bankruptcy Code provision implies that the phrase in §727(a)(2) “with intent to hinder, delay or defraud” means any, some, or all of the three types of intent – i.e., it means any of the following: intent to hinder; intent to delay; intent to defraud; or two of such types of intent; or all three of such types of intent. This in turn, implies that while intent to “defraud” is sufficient to meet the intent element in §727(a)(2), it is not necessary. Intent to “hinder” and intent to “delay” each are sufficient intent under this provision. Interpreting §727(a)(2)(A) to require in all cases an intent to “defraud” would in effect read out of the statute the words “hinder” and “delay,” rendering those words superfluous. However, Wise noted that a minority view exists which hold that the phrase “intent to hinder, delay or defraud” in the Bankruptcy Code to require fraudulent intent, despite acknowledging the disjunctive phraseology. Wise cited in length Los Alamos Nat’l Bank v. Wreyford (In re Wreyford), 505 B.R. 47, 55-58 (Bankr.D.N.M.2014), which quote is repeated here in full (with some internal citations removed). The phrase “hinder, delay, or defraud a creditor” is not defined in the Bankruptcy Code. Because the language is phrased in the disjunctive, some courts find that it is sufficient to deny a discharge under 11 U.S.C. §727(a)(2)(A) if the debtor intends to hinder or delay a creditor, which may fall slightly short of fraudulent intent. Ordinarily, the Court would agree that “or” denotes the disjunctive, so that proof of intent to hinder or delay without proof of intent to defraud would be sufficient. However, the phrase, “hinder, delay, or defraud creditors” used in 11 U.S.C. §727(a)(2)(A) has a specialized meaning in the law. It has its origin in the Statute of 13 Elizabeth 3 Eliz., ch. 5 (1570). Coder v. Arts, 213 U.S. 223, 242, 29 S.Ct. 436, 444, 53 L.Ed. 772 (1909). “The statute of Elizabeth (chapter 5) against fraudulent conveyances has been universally adopted in American law as the basis of our jurisprudence on that subject . . . .” Peters v. Bain, 133 U.S. 670, 685, 10 S.Ct. 354, 359, 33 L.Ed. 696 (1890). Notwithstanding use of the disjunctive “or” in the phrase “hinder, delay, or defraud creditors,” this form of expression, as used in fraudulent conveyance law, has always been held to require actual fraud to invalidate a conveyance. See Coder v. Arts, 213 U.S. at 242, 29 S.Ct. 436 (“This form of expression [intent to hinder, delay, or defraud creditors] is familiar to the law of fraudulent conveyances, and was used at the common law, and in the statute of Elizabeth, *433 and has always been held to require, in order to invalidate a conveyance, that there shall be actual fraud . . . .”). Like 11 U.S.C. §727(a)(2)(A), the fraudulent transfer provision found in 11 U.S.C. §548(a)(1)(A) uses nearly the same phrase. Consistent with fraudulent conveyance law generally, 11 U.S.C. §548(a)(1)(A) requires proof of actual intent to defraud. Ordinarily, identical words used in different parts of the same statute are construed to have the same meaning. The Court sees no reason to interpret the nearly identical phrase differently for purposes of § 727(a)(2)(A), especially given § 727‘s extreme penalty. The Court must construe the denial of discharge provisions “liberally in favor of the debtor, and strictly against the creditor.” See [Rosen v.] Bezner, 996 F.2d [1527,] 1534 [ (3d Cir. 1993) ] (observing that “§ 727 is to be construed liberally in favor of the debtor and that a total bar to discharge is an extreme penalty.”). Construing “hinder, delay, or defraud” found in 11 U.S.C. §727(a)(2)(A) to require actual fraudulent intent when the objection to discharge is based on a debtor’s intent to hinder or delay a creditor is consistent with that directive. It should not be easier to deny a debtor’s discharge than it is to recover a fraudulent transfer. And requiring proof of fraudulent intent in order to deny a debtor’s discharge is consistent with centuries of fraudulent conveyance law from which the phrase “intent to hinder, delay or defraud a creditor” is derived. It also comports with Tenth Circuit law in which the Circuit addressed the requirements of 11 U.S.C. § 727(a)(2)(A) but did not consider the disjunctive construction of the statute. See Marine Midland Bus. Loans, Inc. v. Carey (In re Carey ), 938 F.2d 1073, 1077 (10th Cir.1991) (“To deny a discharge under § 727(a)(2), a court must find actual intent to defraud creditors.”) (citations omitted)).